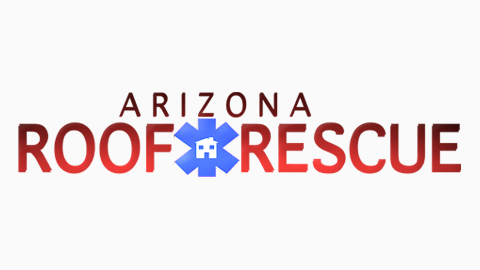 An Arizona monsoon can be disastrous, and during the months of July through September can cause as much as 32% of the states’ annual rainfall to occur. With rain and wind like this, it’s no wonder that homeowners worry about their roofs and how they can keep them safe from crazy monsoon weather. Since there is no guarantee when and if a monsoon can occur, the best way to keep ones’ home safe is in protecting it from a monsoon in the first place. The following tips can help a homeowner feel safer with their existing roof, and can help them better protect their home once damage occurs until a roofing contractor can arrive to repair the damage done. The first thing a homeowner can do is to check for leaks and cracks in their roof, which can cause major damage should a monsoon occur. They should check all areas of the roof for cracks, including any vent areas, chimney spots, and other merging areas where cracks and leaks are most likely to occur. While hiring an inspector may not always be necessary, a homeowner should take precautions before trying to perform roof repair on their own. Having the home professionally inspected is the best way to ensure a roof is ready should an Arizona monsoon be on its way. If any cracks are located, they should be repaired with a tough and water resistant medium to ensure the roof and walls are air-tight. If shingles are loose, then they should be repaired to avoid damaging the roof further in the event of a giant wind and rain storm. If a homeowner isn’t ready to hire a roofing contractor to repair the roof, they should perform only minimal repairs on their own to keep their home dry until a professional can step in to help avoid further costs in repairs by contractors having to redo the work of the homeowner. Many people neglect outside sources that can cause their roofs to be damaged in a monsoon. For this reason, many homeowners will patch their roof and repair any cracks they see, yet they forget to trim their tree branches or move items away from the roof. Left alone, tree branches hanging over a roof can actually fall on the roof and cause serious damage. Homeowners can help prevent this by keeping their tree branches far away from their home with a simple trim. Sometimes even the best efforts to keep a roof safe during an Arizona monsoon can still result in torn shingles, leaking, and other damages. In the event of a roof being damaged during a storm, homeowners should have a tarp handy to secure their home from water damage until they can hire an Arizona roofing contractor to repair the damages on the roof done. The best way to use a tarp to protect the roof is in securing the tarp down with 2X4 wood planks. This way, the tarp acts as a temporary roof until a professional can come and finish repairing the roof that has been destroyed in a storm. Monsoon weather cannot be avoided, but it can be dealt with successfully in making sure the roof stays in great condition throughout the storm. From knowing the best ways to perform roof repairs in Glendale before the storm to having a tarp ready after a storm has occurred, a homeowner can up their chances of keeping their home safe from monsoon damages by being prepared to protect their roof before the monsoon season hits. In making sure that their roof is ready before the storm hits, a person knows that their roof stands the greatest chance of not being damaged when a monsoon hits their town.